It amazed me, gladdened a few and perhaps amused many to read that Coventry has been named City of Culture 2021. It’s hardly a natural epithet for a city whose history might better be described as dour, bordering on tragic. Oh yes, it’s had its moments of industrial significance (is that the word?) with Frank Whittle’s jet engine and a string of well-known badges gracing its car factories. But genuine culture is harder to discern. Does Mary Ann Evans count? She was born nearby in Nuneaton but lived in the city for some years as she became the noted novelist George Eliot. A bit ponderous for my taste. But soft ! (etc.) What about Philip Larkin whose only widely known poem starts with a very rude observation? Yes, he counts as culture and he went to ‘my’ grammar school. Even more significantly his poems are imbued with a fatalistic gloom that is an essential part of being a Midlander. So here’s one of his best poems, Afternoons, written in 1959. But things are always changing and what was once dour becomes innovative and what was once innovative becomes a backwater. This country is changing quickly, in some ways for the better, in some ways for the worse. Good on Coventry. Oh come on Janus! Coventry will be forever linked to the legend of Lady Godiva. 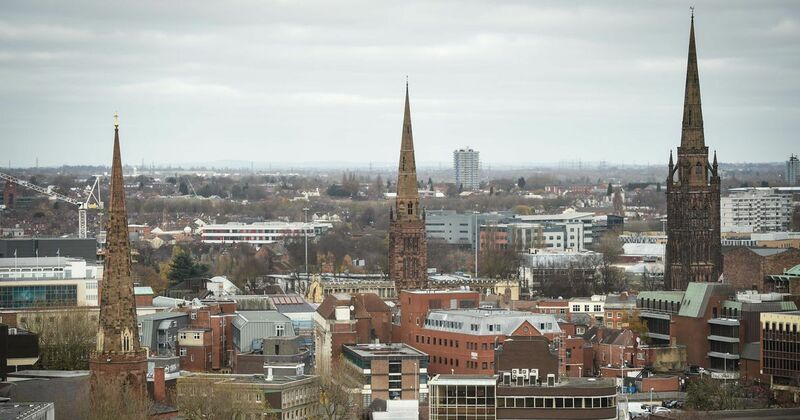 It may not be “Culture”, but it is certainly a romantic story that has always lifted the image of Coventry way above the grimy impression of many Midland towns – well at least to those of us who have never lived there. Oh alright then! Lady G is a good tale with a(n im)moral twist in the shape of Peeping Tom, an untypical denizen really because he bothered to look while the rest nipped into Wetherspoons for a pint! CT, of course that’s true – and Coventry’s ‘new’ university bears witnesss to the fact, supported by the hugely successful management of Jaguar Land Rover. Heard a good but uncharitable crack on the Canadian radio re Coventry. I’m afraid I did laugh. Currently spending a few days in Paphos which is the European City of Culture. Obviously size doesn’t matter when it comes to the word “city”. A fellow guest recommended the museum of the Tomb of the Kings which has some amazing Roman mosaics. Perhaps Coventry should be looking for some Roman remains in the vicinity. Sheona, done that! There’s a restored Roman fort at Baginton, on the southern edge of the city; while the nearby Fosse Way linking the Watling Street to the south west of England has yielded many valuable ‘finds’. PS I like Paphos town – although it can be a bit grim in winter. Some fine family-run tavernas for sea-food. Today’s Guardian to the rescue! I’d half-forgotten the Coventry Carol, first performed at medieval nativity plays. It is in a gloomy minor key as you’d expect by now. But I didn’t know about Debbie Isitt, an iconoclastic movie-maker who is on tour with Nativity! the Musical. Well there you go Janus! Don’t knock your home town, go digging and you will find that however miserable Philip Larkin (and you) might have found it – it has gems lurking beneath. Thank you for reminding me of the Coventry Carol. Perhaps there is something ‘gloomy’ about me – but I love music in minor keys. Next Next post: What’s wrong with England?